Mr. Palmer is an experienced litigator specializing in both employment litigation and general civil litigation in state and federal courts. His interest in litigation began early in his legal career when as a law student at Vanderbilt University, Mr. Palmer won the Harlan Dodson Moot Court Competition and was appointed to the position of Associate Justice of Vanderbilt’s Moot Court Board. Mr. Palmer began his career in 1988 as an associate and later a partner in a large general practice firm in Birmingham. During his early practice of law, Mr. Palmer defended parties in jury trials of claims ranging from employee terminations to personal injury disputes to employee benefit and insurance claims. 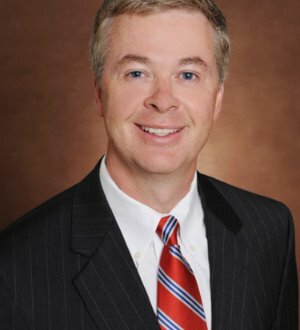 Mr. Palmer joined Ogletree Deakins as a founding Shareholder in its Birmingham office in 1997, and has served as the managing partner of the firm’s Birmingham office for ten years. His practice focuses on the defense of employment litigation including discrimination claims, defense of personnel actions, and defense of employee benefit disputes. Mr. Palmer is a frequent speaker for the Alabama Bar Institute on Continuing Legal Education where he has lectured on jury selection procedures and employment litigation. Mr. Palmer is a former member of the Alabama Defense Lawyers Association where for five years he served as a faculty member in the association’s annual trial academy.He has been selected as one of America’s leading business lawyers in labor and employment by Chambers USA. He is a member of Best Lawyers of America and is a Birmingham Super Lawyer.